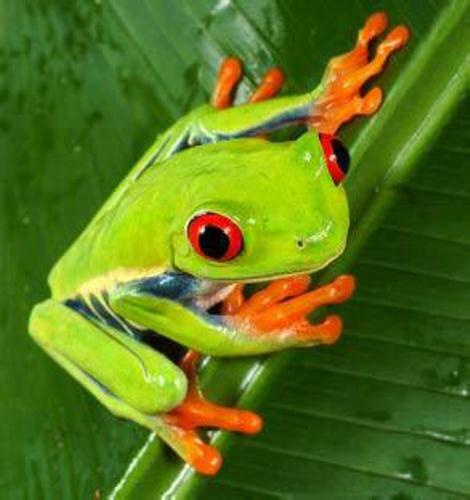 If you want to know more about one of recognizable amphibian in the world, see the red eyed tree frog facts. Many people consider the red eyed tree frogs as beautiful creatures. They can be see spreading around the rainforest. They have bright color on the skin which can carry bold appearance. 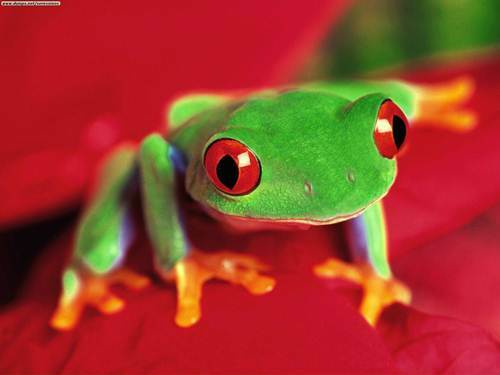 The people who are interested to find out the red eyed tree frogs can explore Central America. The animals can be seen in Columbia and southern Mexico. You just have to go to the lowland forest. Learn more about rainforest facts here. Startle coloration is the best protection that the red eyed tree frogs can have. The predator will be away when their bright eyes begin to startle. The oversized red eyes can make the predators scared. However, during their sleeping the red eyes turn green. Red eyed tree frogs are very unique. The body is colorful. You can find them have yellow or blue striped body. You can see orange color on their feet. If you think that all amphibians with bright colors must be harmful are not true. The red eye tree frogs are harmless. Find the harmful frogs in frog facts. 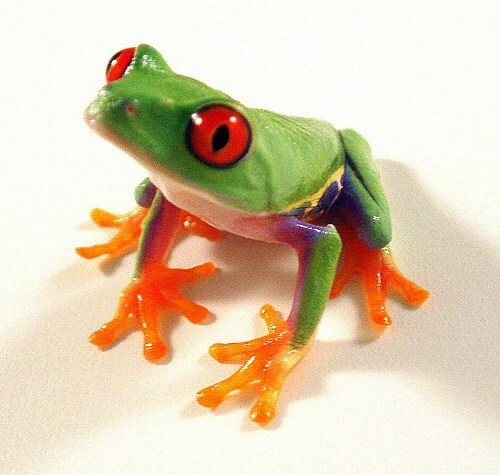 Red eyed tree frogs are included as nocturnal animals. They sleep during the day and begin the hunting activity during the night. They like to eat bugs, flies, and crickets. 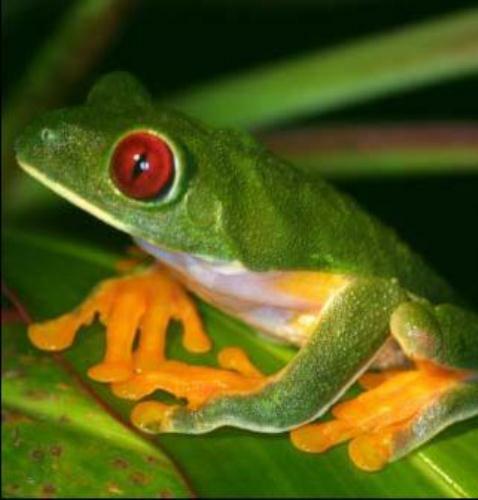 The number of red eyed tree frogs in the world is still strong. People do not need to worry about their population for the animals are included as the least concerned animal by IUCN. Many people call red eyed tree frogs as money frogs. The animals have good skill of climbing in the canopy of rainforest. Their feet can stick well on the barks and leaves when they climb. The breeding habit of red eyed tree frogs is unique. The animal will deposit the eggs on the leaves above the water features in the rainforest. When red eyed tree frogs are mature, they can change the color based on the mood, humidity, and temperature. The color can come in the range of brown, dark green or lime green. Look at the back of their body. They have white spot. It is a normal pigmentation if the number of the spot remains the same when the frog grows. Red eyed tree frogs have a unique behavior. To show their superiority among other males frogs in the rainforest, they will shake the legs and hind the legs. 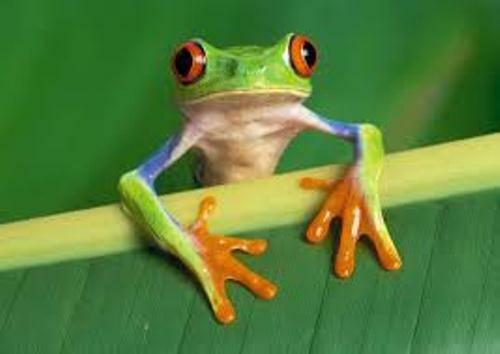 Are you interesting to get more facts about red eyed tree frogs?